← Nature: The Ultimate Network? Recently there have been calls for a petition for a GCSE in Natural History, and today an alert for new research that informs and supports this proposal arrived in my inbox. The paper in Education Sciences explores how connection with nature and scientific knowledge influence pro environmental behaviour – ultimately an essential reason for a GCSE in Natural History. The research found direct links between an individual’s connection with nature, understanding of science and proenvironmental behaviour. 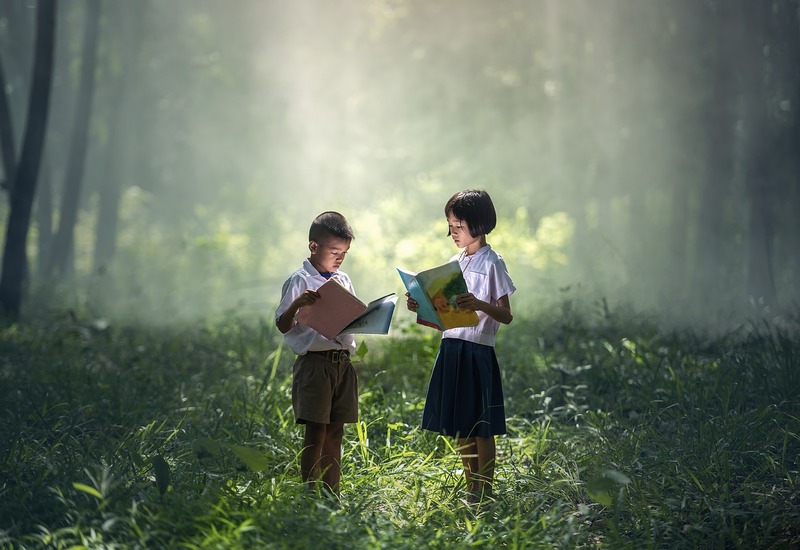 Importantly, increasing a person’s connection with nature emerged as the most important predictor of proenvironmental behaviour, double the influence of science knowledge (which was still significant). This supported previous research that argues the impact of knowledge on proenvironmental behaviours is mediated by emotion, because 80% of behaviour is not driven by knowledge [see 1]. My research focuses on how to increase connection with nature, that feeling of being part of nature, because being connected is good for nature’s and human well-being. Our research has found that in order to increase connection we need to move beyond knowing nature to promote a more affective relationship with the natural world . So scientific knowledge is important, but efforts to engage people with nature are often based on knowledge and identification. To normalise the value of nature, we should focus on the everyday nature about us. And this focus should not be to know and to identify. We’re driven to know, to understand, be smarter, to walk further, to run faster, to climb, to cross, to conquer, to progress – and to consume. Whereas the remedies for our current disconnection with nature are in less purposeful activities, simple contact with nature involving emotion. Gregory Bateson highlighted the ecological dangers of our linear, purposeful thinking and predicted the solutions in the late 1960s and early 1970s, before the current environmental movement developed. Bateson argued that our conscious purpose is damaging to the wider ecology as it separates us from it – “We are not outside the ecology for which we plan”. He saw remedies in the arts, aesthetics and contact with the natural world. What’s great about the petition for a GCSE in Natural History is that it does move beyond knowing nature stating that “it is vital to understand the contribution nature makes to our lives physically, culturally, emotionally and scientifically both in the past and today”. Continuing to reference the nature writing and arts that are “integral to our culture and heritage”. And it is a cultural change that is required to place nature at the core of the things we do. So in addition to describing what a blackbird looks like, highlight the joy in listening to its song. In addition to explaining how to identify a tree by its leaves, prompt people to watch how the breeze moves them. In addition to recording and ticking off species, watch them going about their lives. In addition to conquering the outdoors, share the awe and wonder of being there. Make contact, find meaning, reflect, experience emotion, and engage with nature’s beauty. There is no need to shy away from framing our relationship with nature in this way. When we asked people to notice three good things in nature each day for five days, the things people noticed weren’t based on linear purpose or taxonomy, the differences between birds or how many they’d seen . Rather the good things in nature were the sensations, feelings, beauty, wonder and changes over time . In pausing and taking a moment to reflect  and notice nature people became more connected to nature and felt better too. And if a connection leads to a thirst for knowledge and identification, then great, as long as less purposeful engagement is not lost. In a further coincidence, my daughter received a GCSE options letter from school this week. It informs us the government is keen for all pupils to take GCSEs in the ‘core’ academic subjects of English, maths, science, a language and history or geography. There is a desperate need for nature to be core in our lives, as it is core to our existence and well-being. [6,7,8]. So please sign the petition for a GCSE in Natural History, an important step to nature being core within our lives. See also: A GCSE in Natural History – now. Save the Date – Nature Connections 2017 – Tuesday 27th June. Details and NCx2016 report coming soon. Hines, J.M. ; Hungerford, H.R. ; Tomera, A.N. Analysis and synthesis of research on responsible environmental behavior: A meta-analysis. J. Environ. Educ. 1987, 18, 1–8. Lumber, R., Richardson, M., & Sheffield, D. (under review). Beyond knowing nature: Contact, emotion, compassion and beauty are pathways to nature connection. PloS one. Richardson, M., Hallam, J. & Lumber, R. (2015). One thousand good things in nature: The aspects of nature that lead to increased nature connectedness. Environmental Values, 24 (5), 603-619. Richardson, M., & Sheffield, D. (2015). Reflective self-attention: A more stable predictor of connection to nature than mindful attention. Ecopsychology, 7 (30), 166-175. Richardson, M., Maspero, M., Golightly, D., Sheffield, D., Staples, V. & Lumber, R. (2016). Nature: A new paradigm for wellbeing and ergonomics. Ergonomics. Signed and shared. A worthwhile petition.